Here’s a quick description of our MasterCard Mailer by US Capital. This program is our top performer, hands down, bottom line. We know why this works so well. It’s because the US Capital MasterCard that is affixed to each mailer makes the package irresistible to open. The higher the number of opened direct mailers, the higher the number of delivered units will be. There’s no arguing that point. Below is a sample of one of the attractive packaging options that the offer comes in. Ask yourself: would you open it? I would. And so will just about everyone that we send one to. Add the snap-pack envelope by US Capital to your next Hill Marketing Group event. US Capital MasterCard enclosed in the snap-pack. The biggest challenge that I face in direct mail is getting the recipient to open the envelope and read the offer. For instance, if I signed up a car dealership to do a 10,000 piece mailer with a 50% discount on everything in stock, this weekend only, and only a handful of customers showed up, I could reasonably conclude that the mailer either had a really weak open rate or the offer wasn’t aggressive enough. I could also reasonably conclude that if the offer had nearly a 100% open rate (if almost all the 10,000 were opened and read) that the dealership would have been flooded with thousands of shoppers looking for the 50% discount! In most cases, the problem isn’t the offer – it’s the packaging. I’ve done some lengthy research as to why good automotive direct mail pieces don’t seem to draw the crowds it used to. I’ve narrowed it down to a few factors that I’ll post about later, but today I want to tell you what I see as the numero uno problema (number one problem). If everyone else is remotely close to the way I am when I look at my mail, then they subconsciously split their mail into two major categories: Important and Junk. Important includes: bills (utilities, mortgage, credit cards, car loans etc. ), and personal (birthday cards, Netflix, family, church, etc.). There’s more, but I think you get the point. Junk includes: not bills or personal (Important), furniture store ads, cable ads, unsolicited advertising (mortgage, auto, and the new Chinese restaurant down the road), carpet cleaners and things of the like. There is certainly a division of mail into these two categories with two different reactions. One I open and read, and the other I don’t (at least not immediately). So, the trick is to get automotive direct mail offers out of the Junk category and into the Important category. If I can accomplish that, then I can provide my dealers with direct mail pieces that are certainly worth the money they’ll pay me for it! Packaging counts, because most folks like me give the mail a quick visual scan and judge in a split second which category it falls into. I think that knowing this and solving this is the reason that we rock so hard with the dealers we work with. The Title List, by Hill Marketing Group. Our Title List is basically a really sophisticated owner list. The database matches the current owner with the current vehicle at the current address. So when you send out a mailer, your message is targeted with precision to the exact person you want it to go to. For example, if a Honda store wants to run a promotion to sell Odysseys, they can send out invitations to all of the van and minivan owners within a particular radius of their store, regardless of brand. This is extremely valuable to the Honda dealer because our Title List will give them a premium database of owners across the brand lines for them to put their Odyssey special in front of. This type of exposure leads to new business that may not have been captured otherwise. Another example would be a Toyota store looking to build pre-owned inventory. The Toyota store could send a buyback letter to all Toyota owners (i.e. 97-04 Camry, Corolla, Tacoma, etc.) within 20 miles of their store. The letter can announce Factory Specials as well as a “we need your trade” message. Our Title List is a great alternative to credit data, which in some markets has been so saturated that the response rate has decreased, making credit mailers sometimes infeasible and ineffective. 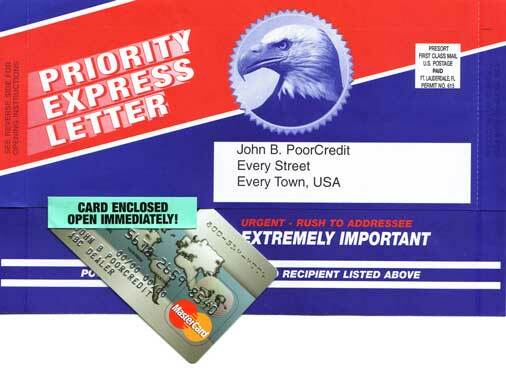 Every credit mailer that is sent out legally must disclose the FCRA’s Prescreen & Opt-Out Notice. This gives the recipient a bold notice that they can choose to stop receiving “pre-screened” offers of credit in the mail by calling a toll-free number. As more and more consumers “Opt-Out”, the pool that dealers mail into becomes smaller and smaller, resulting in a heavily saturated market with multiple offers from multiple dealers. Our Title List can be extremely effective if your market is in this type of condition. As a courtesy, although not mandated by any law, Hill Marketing Group provides a toll-free Opt-Out number for customers to be removed from our Title List. We also provide all dealers with an Opt-Out fax notification form for customers to be removed in the event that one desires to do so. This rarely occurs, but is just another illustration of how all of HMG’s programs are extremely well thought out, with the dealers CSI and reputation always in mind. We are not saying that credit mailers don’t work anymore. In fact, as a previous customer of HMG, you may already know that we have the best credit mailers in the country! All we’re saying is that there is life after credit data; Our Title List. Ask your Marketing Consultant for samples of the latest Title List pieces and see for yourself why dealers keep coming back to Hill Marketing Group.